If a close family member or friend has died and named you as the executor of his or her will, no doubt you consider it a great honor. After all, this person considered you a trusted person in life. You will want to serve the departed dutifully now that he or she can no longer act for him or herself. However, you also may be feeling that a daunting prospect lies before you. Dispensing of someone’s lifetime assets justly is no small task, and you may have never interacted with the legal system governing estates before. 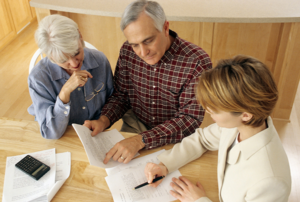 Here are answers to some of the first questions you may have in your role as executor. Your first task will be to locate the will and register it with the proper authority. In Pennsylvania, state laws govern the administration of wills. Once you have located the document, you must take it to the Register of Wills in the county of the deceased’s final place of residence. In Delaware County, this means you will take the document to the Delaware County Register of Wills. Be sure to prepare for your visit by bringing original copies of the death certificate and a check for fees. You should also make sufficient copies of the will for your reference since the Register of Wills will retain the original document in their care. The responsibility of the Register of Wills is to examine and record the will. Once this is done, you will receive a “grant of letters” or “letters testamentary.” This simply affirms that the deceased has appointed you to administer his or her will in good faith and confers to you the authority and responsibility to oversee the estate distribution process. In all likelihood, the estate will then be put into probate. Probate is simply the court that supervises the settling of estates in order to prevent fraud and mismanagement. As the executor or personal representative of the deceased, this is the authority that will oversee your actions. Not all estates or assets, however, are subject to probate. Very small estates (In Pennsylvania, those less than $25,000) are not subject to probate. Assets not subject to probate include real estate owned jointly and subject to right of survivorship, funds for which a beneficiary previously has been appointed (such as retirement funds and life insurance policies), and assets that have been placed in a Living Trust. What Information Will I Need to Gather about the Deceased’s Property? You will need to examine the decedent’s papers in order to create an inventory of the estate. Since you must determine what payments need to be made from the estate before distributions can be made to beneficiaries, have the decedent’s mail forwarded to you by the post office and look for evidence of potential creditors. You should examine the contents of any safety deposit boxes as soon as possible. You also will be responsible for maintaining the decedent’s property, including real estate, while decisions are being made as to its value and how it will be disposed of. Stocks and marketable securities must be identified and secured, and they may be sold with the proceeds deposited into the estate account. Who Do I Notify (and How)? You should notify heirs and beneficiaries as soon as possible that they have been named in the will and that you have been appointed to guide the estate through the legal processes it is subject to. Pennsylvania law also requires estate administrators to publicly advertise the fact that the Register of Wills has opened an estate and to “request all persons having claims against the estate of the decedent to make known the same to [the executor] or his attorney, and all persons indebted to the decedent to make payment to [the executor] without delay.” (20 Pa. C.S.A. § 3162.) Usually, it is appropriate to place a legal notice in local newspapers of record, such as The Delaware County Times. In addition, you must notify each of the decedent’s creditors that are known to you, including all credit card companies. Because the deceased and his or her estate are two separate tax entities, the IRS will give the estate an Employer Identification Number (EIN) that you will use to settle any taxes that are due. The EIN will also allow you to open a bank account in the estate’s name to facilitate gathering assets and paying creditors. The taxing systems to reconcile with are: Pennsylvania Inheritance Tax, Federal Estate Tax, the deceased’s final state and federal income tax returns, and the estate’s state and federal income tax returns. These can be complex, and usually must be completed before distributions can be made to heirs and beneficiaries. How Long Do I Have to Complete Each Step of the Process? You should visit the Register of Wills with the necessary documentation as soon as possible after the date of death simply because there are time limits associated with the remaining steps in the process. In Pennsylvania, six months are allotted to the executor to create an inventory of an estate. This time frame allows for gathering accurate valuations of property, such as real estate. An executor has nine months from the decedent’s date of death to file his or her tax forms. When Will Probate Be Considered Closed? Once all creditors have been paid, distributions are made to heirs and beneficiaries according to the decedent’s wishes, and taxes have been filed and paid, you will complete a final notice to the Register of Wills. Once this is approved, probate will be closed. Administering an estate is a complex and momentous responsibility. You can tackle these responsibilities yourself, but you can also enlist the help of the trust and estate attorneys at Raffaele Puppio in Media, Delaware County, to share this burden with you.